Exclusive to Marathon Warehouse Distribution in the UK and one of the world's most recognisable automotive brands, Lucas Timing Belt Kits are at the forefront of innovation and engineering. 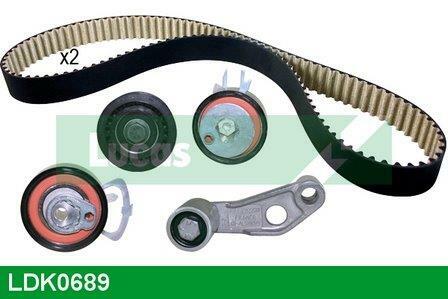 Included in each Lucas Timing Belt Kit are relevant fitting notes and technical bulletins along with all important ancillary components, such as bolts, dowels, springs, support plates etc. Each Lucas Timing Belt Kit box shows exactly what is included inside. With near ZERO true warranty and unrivalled technical support and back-up, Lucas Timing Belt Kits offer a full 2 year warranty against manufacturing defects. Contact us for more information - Multi-level profiles and stock-plans are ready to go for this great stockist opportunity. Full kits contain, as appropriate, 1-3 belts, 1-5 tensioners plus all important ancillaries such as bolts, dowels, springs, support plates etc.